Balfour Beatty has rejected a new merger proposal by Wolverhampton-based support services giant Carillion. This latest blow follows the news last month that Balfour had called a halt to merger discussions just a week after the two companies went public with news of the potential £3 billion tie-up. At that time, Balfour said it was because Carillion wanted to keep Balfour&apos;s wholly owned consultancy Parsons Brinckerhoff within the new combined group despite Balfour placing it on sale in May and stating it would not be included in any merger. In a statement to the stock exchange today, construction and infrastructure group Balfour outlined a list of revised plans which had been presented to it by Carillion in the hope of moving forward on the deal. 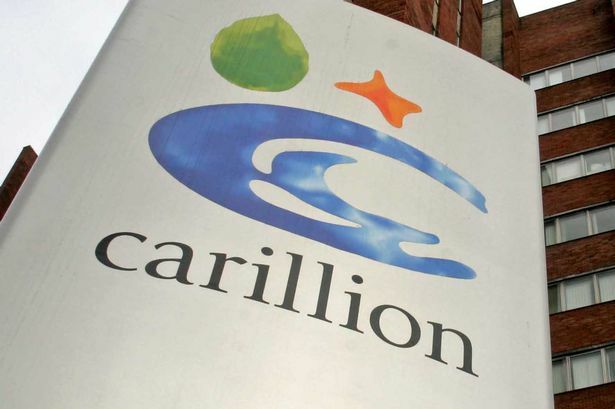 It said Carillion was still seeking to keep Parsons Brinckerhoff in the deal but had agreed to cover appropriate bidder costs for the remaining bidders in that sale process, if these bidders could be persuaded to proceed on the basis that the merger did not ultimately happen. Carillion said it was happy to stay with the original proposed split to shareholders of 56.5/43.5 per cent in Balfour&apos;s favour but stated Balfour Beatty shareholders would receive the final dividend payment for 2014. The deal deadline would be extended to August 28, 2014, with interim results for both companies deferred to the same date. In rejecting the revised terms, Balfour Beatty said: "While the board is mindful of the synergies that might be achieved......(it) has concluded there are a number of significant risks many of which cannot be mitigated. "These include undermining the Parsons Brinckerhoff sales process which is a key strategic objective of the group, bidders for Parsons Brinckerhoff may not regard the cost cover as adequate (and) risk that a failed sale process would materially impact the motivation and retention of Parsons Brinckerhoff management and employees and damage its competitive position in a rapidly consolidating professional services market." It also listed other reasons for the rejection including risk associated with the integration of the two businesses, potential material reduction in Balfour Beatty&apos;s revenues in construction services, increase restructuring costs and remove profitable business opportunities. Carillion said today: "The board will give further consideration to its position and will make a further announcement in due course. "In the meantime, there can be no certainty that any offer will be made by Carillion or as to the terms on which any such offer might be made."